Do you remember some times when you've searched for a specific product on Google and you saw search results which had reviews, a price and probably an image of this product on the first page? Or, do you remember when you've searched for a company and you had it's company description along with its address, telephone, company logo, map etc on its first page? Those two are just a sample of Google's attempt at enriching your searching experience and saving you time from visiting sites which probably do not have what you were looking for. These are Google Structured Data and the responsibility for appearing in such a way on Google rests on you, the website owner. Your website needs to be ready and it needs it yesterday! In a way, Google directs its search traffic to websites who conform to its guidelines on providing enriched search results. 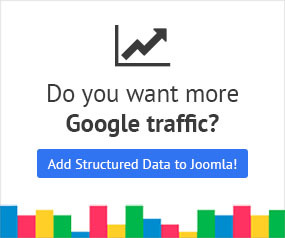 You can safely assume that Google Structured Data is a direct increase of your Click-Through-Rate (CTR) and it can be considered negligence if your website has what the user searched for but does not get the traffic just because it appears like any other boring search result among a myriad of others on Google. Meanwhile, websites who have what Google needs to appear differently in the results get to enjoy unexpected amounts of visitors. Is my website eligible for such results? Google recognizes the type of content and functionality of each website into certain data types and below you'll find a list of which data types are eligible for enriched search results. Bear in mind that Google expands this list constantly and that it is valid at least on the time of writing this post. From the aspect of Site Structure and Authorized Presence the covered data types are Breadcrumbs, Sitelinks Searchbox, Sitename, Corporate Contacts, Logos and Social Profile Links. From the aspect of Creative Works the covered data types are Articles, Music, Recipes, Reviews, TV & Movies, and Videos. From the aspect of Commerce the covered data types are Local Businesses, Events, and Products. What do I need to add to my website then? The answer to this question is a bit technical. If you are a developer you might want to have a look at Google's guides towards this subject. On the other hand, if you are not a developer, there are solutions for each platform which provide automatically what's needed. Specifically, if you are using Joomla! 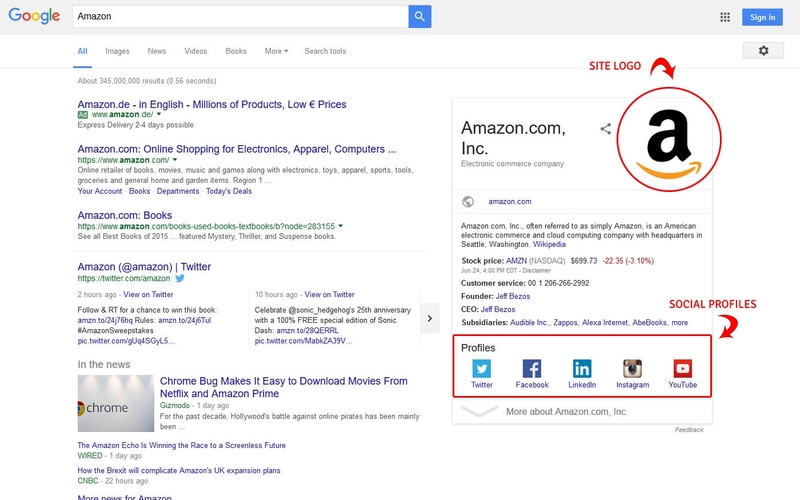 then our plugin Google Structured Data Markup is all you need to get started!